Limited Edition. 1/8 Scale. Made from the original tooling produced in 1965! Injected molded plastic kit. Comes molded in glossy white with clear helmet and detailed instructions with original sell sheet. 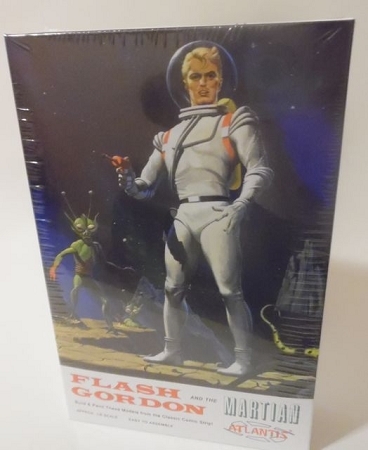 Includes Flash Gordon and the Martian figures with display bases and nameplate. Original box art with build ups done by Andy Yanchus. Skill level 2. Officially Licensed from King Features Syndicate Inc. Restoring vintage printed materials to almost original condition is the mission of the finest restoration specialists at Anthony Restorations.